Alpha Vitality | What’s in YOUR pantry? After “cauliflower”gate … when that lovely white orb was selling for $12 a head (or more accurately, not selling) I started to really pay attention to my grocery bill. Raise your hand if your grocery bill has a higher than normal number at the bottom. Ok – so here is my challenge to you (and to myself) Be intentional about using up the food that you already have in your fridge and pantry! 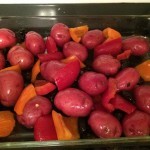 In a large saucepan, sauté mushrooms, onion, garlic and ginger until tender. 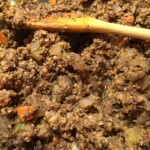 Add curry and stir to blend. Gradually add broth. Bring to boil, cook and stir for 2 minutes. 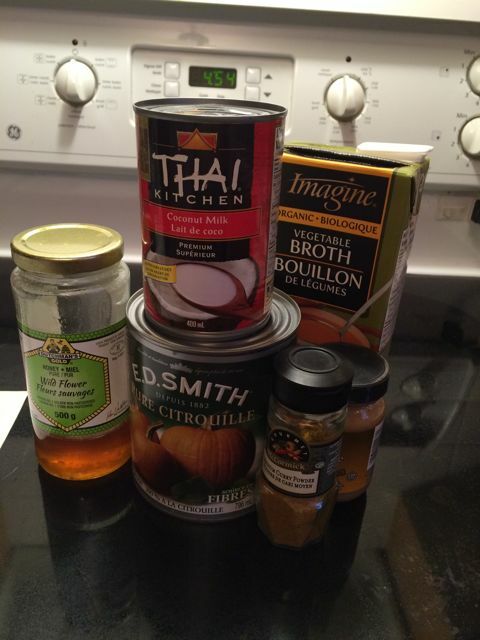 Add pumpkin, coconut milk, honey, salt, pepper and nutmeg. Heat through and enjoy! Now onto the chestnuts … 3 packages! 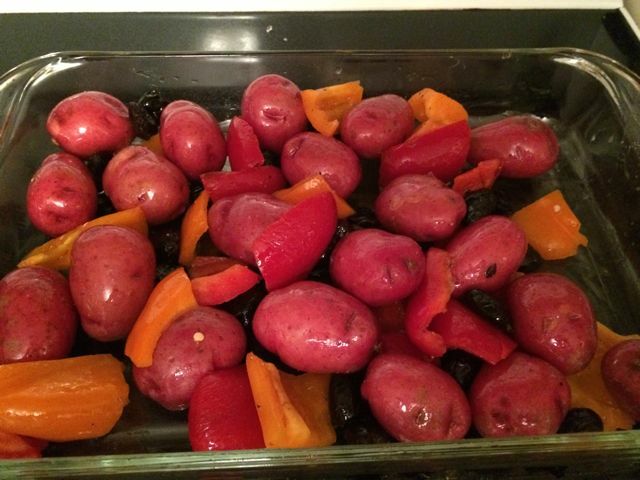 My sister-in-law made an amazing vegetarian tortiere … I adapted the recipe to make a crust-less version and served it with roasted beets. 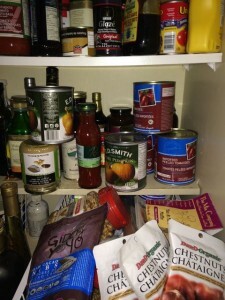 My pantry has a few less things in it AND I stretched out our food, so that I didn’t have to return to the grocery store so soon. However, this is so good, you may have to ADD chestnuts to your list. 1. In small heatproof bowl, pour 1 c boiling water over dried mushrooms; let stand 15 minutes. 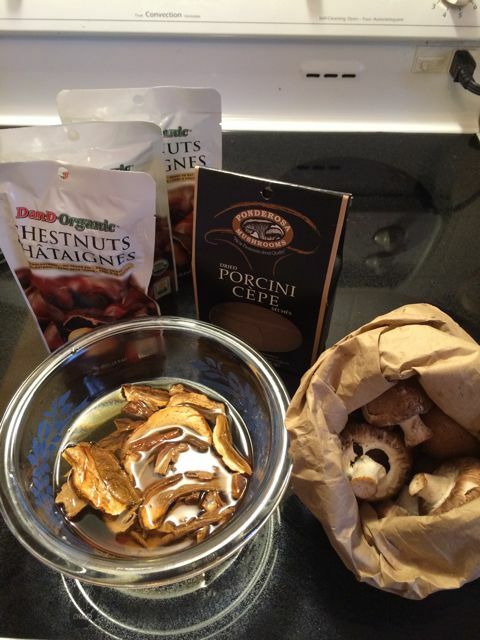 Reserving liquid, transfer mushrooms to food processor and add cremini (or white) mushrooms. Pulse until chopped. 2. In large skillet, melt butter or oil over medium-high heat and cook celery, onion and carrot until softened, stirring often, about 4 minutes. 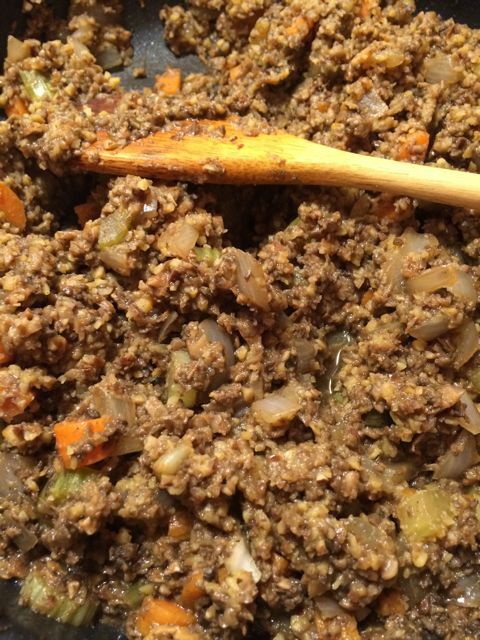 Stir in chopped mushrooms, sage, salt allspice and pepper; cook until mushrooms are softened about 4 minutes. Stir in reserved mushroom liquid and cook until almost all liquid is evaporated about 2 minutes. Transfer mixture to large bowl; let cool slightly. 3. Pulse chestnuts in food processor until coarsely chopped. Stir into mushroom mixture. 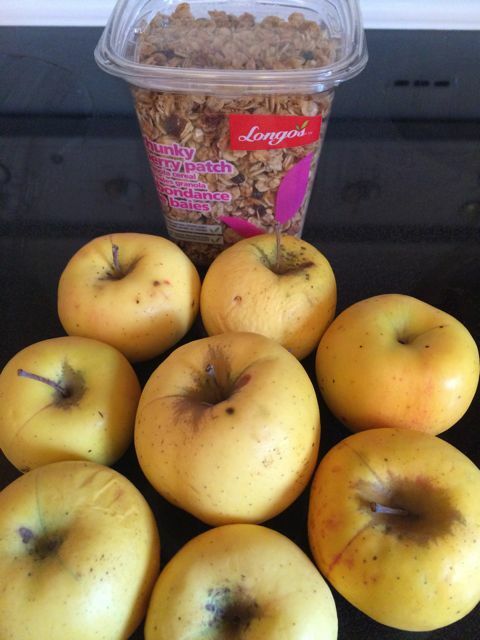 And finally granola mix and aging apples. 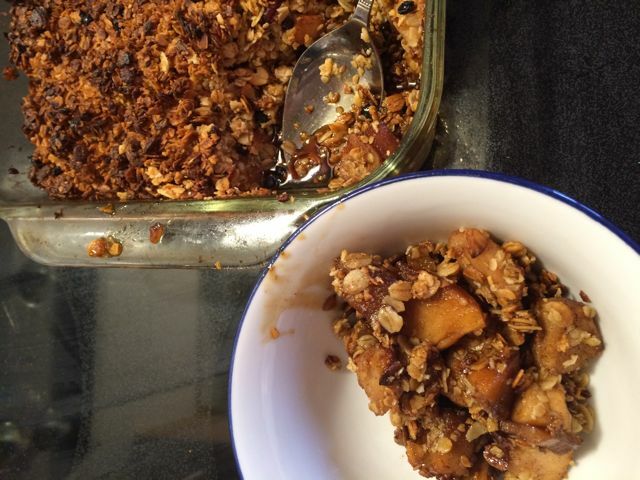 I’m sure everyone has a favourite apple crisp recipe – so just use the granola in place of flour or oatmeal. 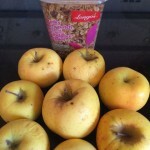 I achieved this amazing sauce with coconut sugar – about 1/2 cup mixed in with the sliced apples. 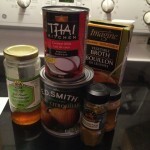 Please let me know if you took my challenge and let me know what’s in YOUR pantry and what you made with it. Happy cooking!